Sending the results of the candidates via SMS facilitates fast and instant distribution of results. You don't need a separate software for sending the SMS; this feature comes in-built with the answer sheet checker. This utility allows the user to send the SMS through Internet connection. Results can be sent to every candidate with just a single click. The software used in the OMR scanner is capable of storing a variety of information, including the marks obtained by the candidates, roll number, name, mobile number and other details in Excel format. You do not need to compose the SMS every time you need to send the results of candidates. Using the saved excel file, the software can compose a message on its own. The OMR software can read Roll number, Candidate's name, Father's Name and the mobile number of the candidates appearing in the exam; and combining these personal details individual results are sent by SMS. A valid mobile number has to be kept in the back end of the database to send the SMS, and the mobile number in the OMR sheet can be sent to the back end with help of OMR software. The SMS can be composed as per needs. 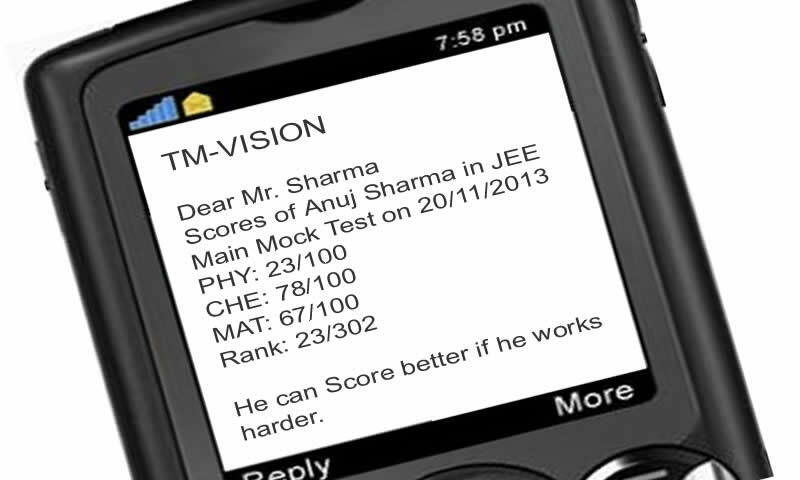 The SMS results can simply contain the exam results, or it may contain the results in the explanatory way. Dear Mr. Vasudaven, your ward Arvind, has scored marks 47/50(PHY), 43/50(CHE), 45/50(MAT). His rank is 6. The performance is good and improved. We wish him good luck. Dear Mr. Viswanath, your ward Lakshmi Sadhana, has scored marks 23/50(PHY), 21/50(CHE), 16/50(MAT). Overall rank is 14. The performance is not good and deteriorating. Please visit us in office. This is how you can send results by SMS. It will be delivered instantly, even on DND numbers.